Our office strictly adheres to the American Dental Associations guidelines for Infection Control. With the growing concern about AIDS, Hepatitis, and other infectious diseases, many new regulations are being proposed by OSHA, CDC, and other agencies. 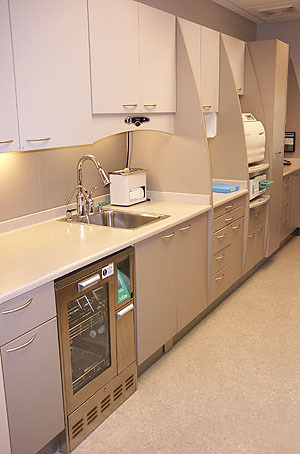 In accordance with our commitment to excellence, we constantly incorporate new techniques and materials related to infection control as they become available. This will give you (and our entire office) peace of mind. Extensive time is spent in cleaning and disinfecting rooms and equipment . Behind the scenes equipment, such as chemical-heat sterilizers and autoclaves for instruments are utilized. Disposable materials are used whenever possible. State of the art dental water line filtration system. Each one of our team members have been vaccinated for hepatitis. We heat sterilize all instruments.